On Sale Now! 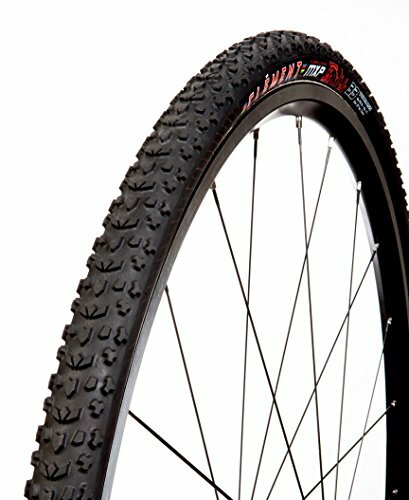 Save 4% on the Clement Cycling MXP Tubular Tire, Size: 700cm x 33mm by Clement Cycling at MZ Italia. MPN: 161286. Hurry! Limited time offer. Offer valid only while supplies last. The Clement MXP Tubular is Clement's newest cyclocross tire featuring an intermediate tread pattern to create an excellent all-conditions tubular. The Clement MXP Tubular is Clement's newest cyclocross tire featuring an intermediate tread pattern to create an excellent all-conditions tubular. The MXP is named after the airport code for Milan, Italy, a World Cup venue that calls for an all-conditions tire. The name is also a homage to Clement's Italian pedigree. The tread is an updated version of the classic Grifo profile first developed by Clement decades ago. Some of the changes include cuts in the central chevrons to allow the tread to flex and more aggressive side knobs with a shape inspired by a soccer cleat. The MXP is designed for a wide variety of conditions and variable surfaces. It excels on grass, loose dirt, sand, moderate mud, hard pack, snow and pavement. If you could only have one cyclocross tire, this is the one to have. There is no inner tube, instead the entire casing is airtight. This creates a very light-weight tire, but more importantly it is very resistant to punctures. The tire accepts sealant liquid easily and typical punctures can be quickly sealed from the inside. If you have any questions about this product by Clement Cycling, contact us by completing and submitting the form below. If you are looking for a specif part number, please include it with your message.